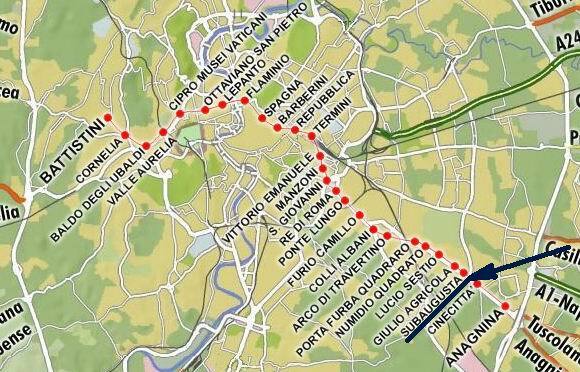 Line A crosses the whole of Rome from the Vatican City to Cinecittà. 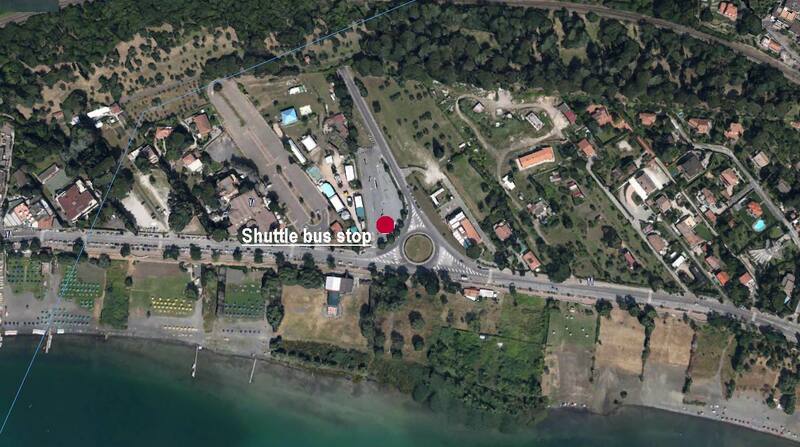 It is the most rapid and effective way to reach the assembly point where you can catch buses to Castel Gandolfo. 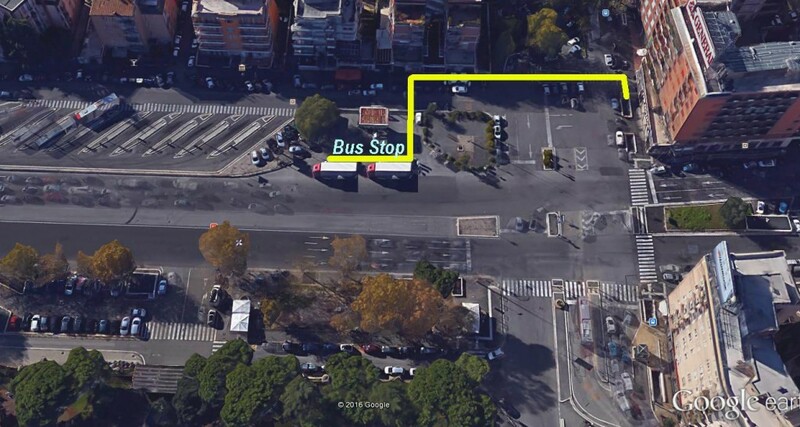 The departure point for the bus is located right off the Subaugusta station (just before Cinecittà). The route to follow to reach the bus is indicated and dedicated help is available. 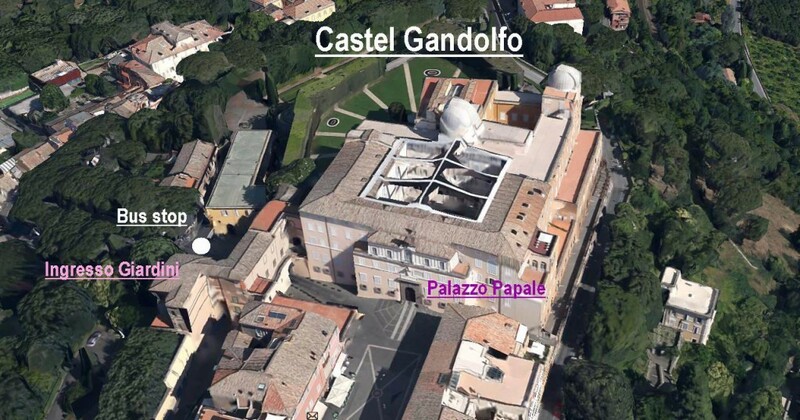 The arrival point in Castel Gandolfo is located in the centre of the town, near the Papal villas, the Papal Palace and Piazza della Libertà. Those using their own vehicle to reach Castel Gandolfo are advised to take the Via Appia (SS n. 7) from the centre of Rome or, if more convenient, the Grande Raccordo Anulare – GRA. At the junction at Km 21,400, turn left, taking the road to Marino / Castel Gandolfo; proceed until you see the “Al Lago” sign: then turn right and go all the way up to the tunnel that leads to the lake. There you can park. Participants are strongly advised not to try to take a private car to the old centre of the town. Given the shortage of parking places the lake-front solution is the best option for parking. Affix the parking payment ticket (use the whole day tariff) to the dashboard and proceed to the bus stop to pick up the shuttle to the Papal Villas.